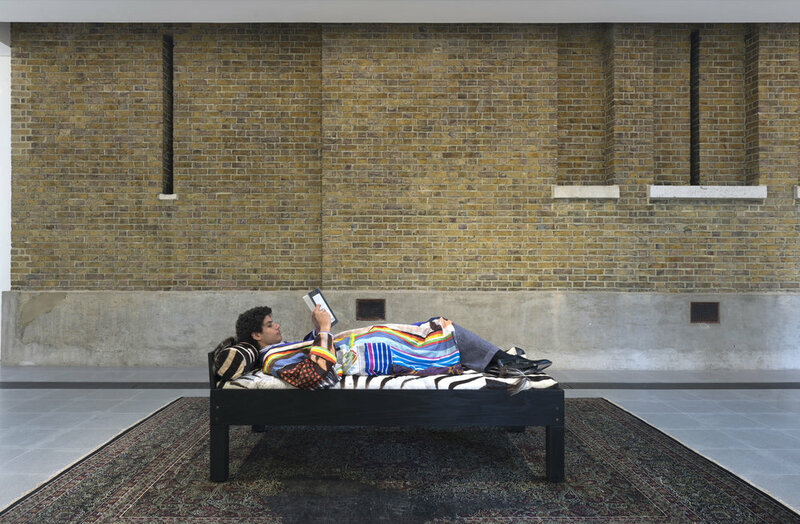 The Serpentine Galleries’ latest exhibition, presented by Grace Wales Bonner – one of the brightest stars of London’s fashion scene – is a chance to step into the mind of a true creative who is known for her intellectual and storied approach to design. 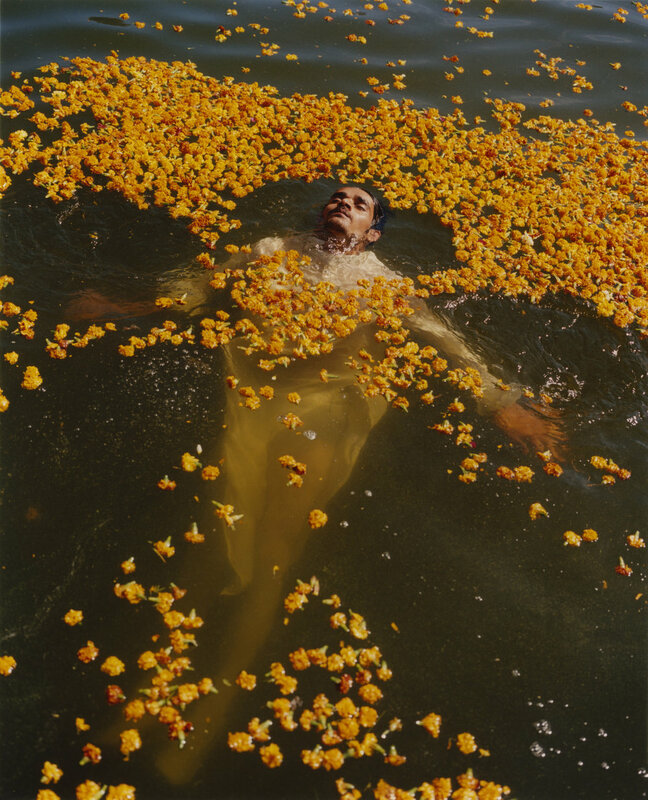 In creating a space for meditation, A Time For New Dreams is an exhibition of extraordinary beauty that offers a rare moment of calm to contemplate new worlds and identities through art, music, literature and style. Paying tribute to her African and Caribbean ancestors, the show has at its heart ideas of mysticism and ritual and explores the concept of the shrine. 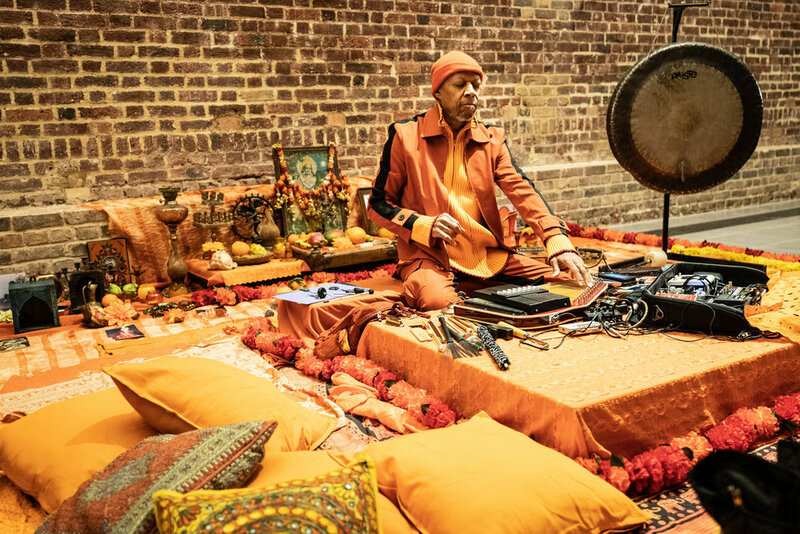 It’s a time travelling, multi-sensory experience with art assembled from across genres and eras alongside reflective soundscapes courtesy of instrumentalist Laraaji. Newly commissioned work from Ben Okri (whose 2011 collection of essays lends its name to the show), Chino Amobi and Ishmael Reed adorns the walls, along with Kapwani Kiwanga’s extraordinary living piece, ‘Flowers for Africa’. On the opening night, they were fresh and in full bloom but they won’t be replaced over the course of exhibition and instead will be allowed to wilt, just as bouquets placed on a grave would. Sculpture from Rashid Johnson and brilliant Nataal contributor, photographer Liz Johnson Artur, have been assembled alongside sensuous photography from Paul Mpagi Sepuya and beautiful Bedouin-style structures from textile artist (and frequent Wales Bonner collaborator) Eric N. Mack. 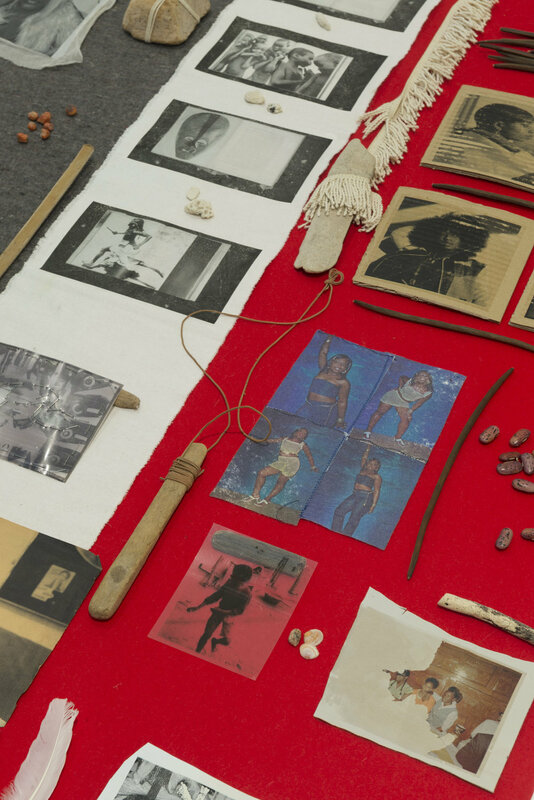 The exhibition serves as a way of stepping into the Wales Bonner world in order to experience the plethora of art, literature and music that will inform her hotly anticipated forthcoming collection. Entitled Mumbo Jumbo – named after Ishmael Reed’s satirical novel – her AW19 offering marks the first time that Wales Bonner will join London’s womenswear schedule. With the designer’s Serpentine exhibition serving as the stage, her work will explore a series of characters in a world where African shamen meet academics from the historically black Howard university. 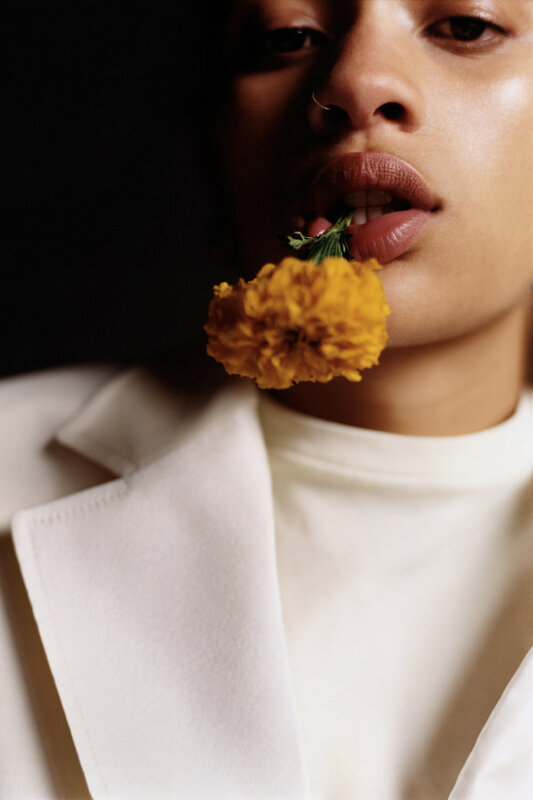 With her uniquely global outlook and rare sartorial skill, Wales Bonner’s work simultaneously dismantles stereotypes, prompting you to pick up a book, and crucially buy her clothes. This exhibition is but a tiny glimpse into the sort of busy brain that can make all of that happen.